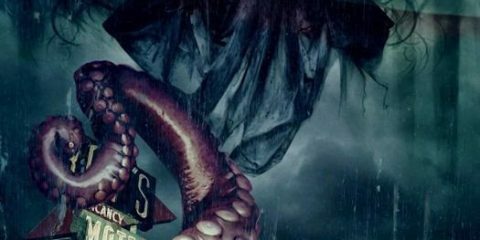 More and more of the best fiction to be found in the speculative genres of science fiction, fantasy and horror is now first published online in a growing number of webzines, e-zines and online digital magazines. 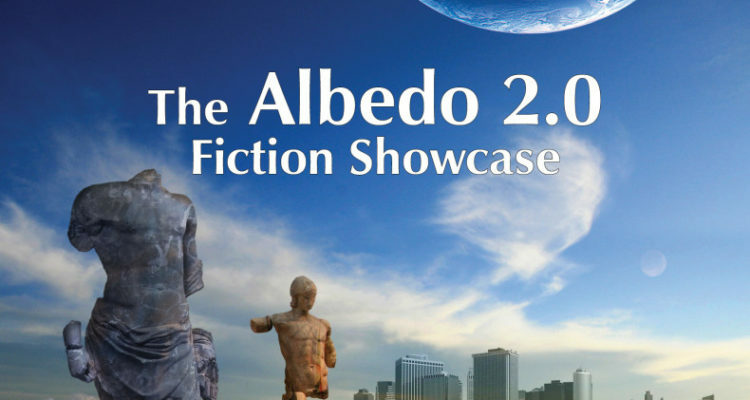 The Albedo 2.0 Fiction Showcase aims to publish – free to read and exclusively online – some of the very best original fiction that the Albedo One team can lay their hands on. The Showcase is designed to complement Albedo One’s goal of providing excellent, free, online content on the Albedo One website. In 2010, Albedo One piloted the Showcase Series with the publication of two fine stories: Donald Mead’s “A Falcon Sharp and Passing” and Ian Wild’s “The Million Pound Shop”. Both stories generated an overwhelmingly positive response from readers, and with this encouragement we decided to establish the Showcase on a permanent basis, with the aim of providing excellent previously unpublished short stories online here, as and when available. See the full list of free original Albedo 2.0 Showcase stories below! Albedo One is delighted to bring you this fine story, which placed in the Top 6 of the International Aeon Award Short Fiction Contest 2014, from Cyril Simsa as our Albedo 2.0 Fiction Showcase #11 for Winter 2015/2016. As always, it’s free to read, so enjoy! Read “Starspawn“ by Cyril Simsa. Albedo One proudly presents our Albedo 2.0 Fiction Showcase #10 for Summer 2015, written by Laurence Klavan, an author published in more than thirty literary magazines and a with collection of his short work, “The Family Unit” and Other Fantasies, published in 2014 by Chizine. He noticed the woman kept her distance but was not as far away as he would have predicted, her not being modified and so protected from what he might carry. He knew his breath could reach her as her perfume did him. 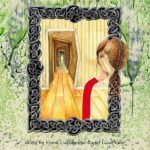 Read “The Urban Dweller“ by Laurence Klavan. Just a few days before Halloween, we think it’s appropriate to bring you this darkly humorous tale from the estimable pen of veteran Irish short fiction author Robert Neilson, as number 9 in the Albedo 2.0 Fiction Showcase series, published for the first time here, exclusively online, and free to read. Enjoy! Read “My Dolphie” by Robert Neilson. 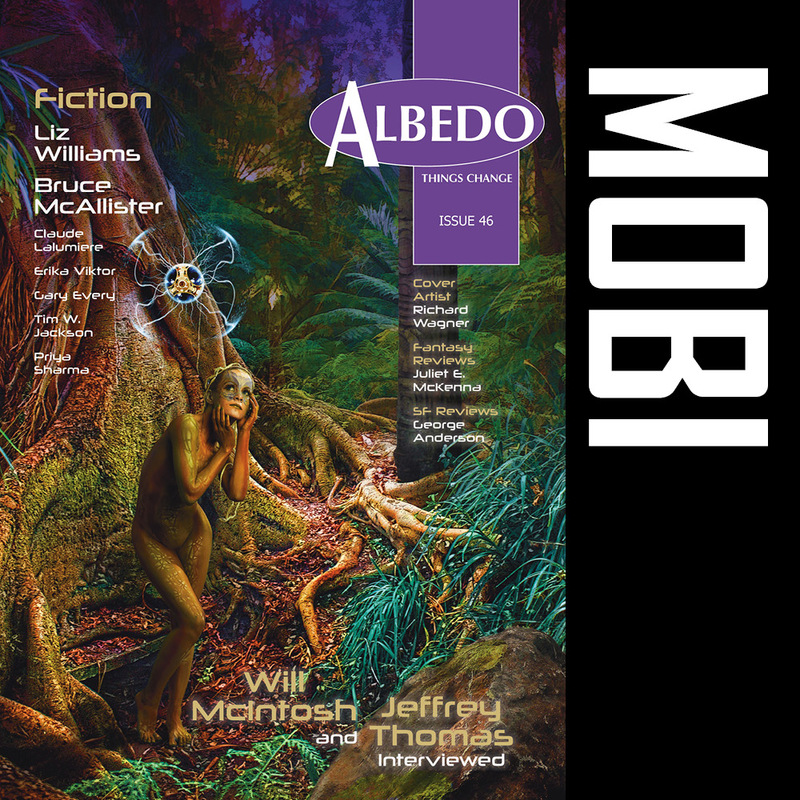 Albedo One invites you to celebrate the long summer nights of 2014 with a fine tale of mounting suspense from Mark J. Barrett, published for the first time exclusively online as number 8 in our Albedo 2.0 Fiction Showcase series! Read “The Jenny Museum” by Mark J. Barrett. Albedo One is proud to round off your Spring of 2014 with a fine SF-Horror from Guy T. Martland, published for the first time exclusively online as number 7 in our Albedo 2.0 Fiction Showcase series. Enjoy!! The first iteration, when applied to the organs, could rejuvenate them. It heralded a huge breakthrough in medical science. But then as the technology advanced, it was used to resurrect newly dead pets. And then finally humans. That had been the turning point: humans. Bringing people’s recently dead relatives back after days, then weeks and finally months. Read “The New Galvinism” by Guy T Martland. 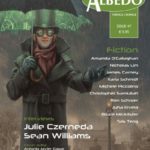 To liven up those cold winter days, the Albedo 2.0 Fiction Showcase proudly presents “The Trouble-Men” by Andrew Kozma, a sharp tale of building tension and horror that (in less that 2000 words) will wake you up from your afternoon slump. Whole neighborhoods had vanished to the Trouble-Men… They knew all your secrets, even the ones you had forgotten, but they would never tell them to anyone and, now, neither would you. Read “The Trouble-Men” by Andrew Kozma. To close off the summer in style, the Albedo 2.0 Fiction Showcase brings you “Black Hole Baby”, a distinctive and punchy tale of SF-humour, penned by the estimable Peter Loftus. Enjoy! The headlines never ceased to amaze him. This one was a doozy. Apparently, a woman on Rib 14 had created a wormhole with her Succuum 3000 and been dragged out of this universe. Investigators had no clue as to where the wormhole had taken the woman. Greg smiled to himself, trying to visualise what her disappearance must have looked like. Still, stranger things had happened. Read “Black Hole Baby” by Peter Loftus. As our first Albedo 2.0 Fiction Showcase of 2013, we are delighted to publish Alex Jennings’ superb horror, “Boudreaux and Thibodeaux”, as poignant and powerful as it comic. I swear to God, them zombies stopped what they was doing and looked his way. Not like you or I would, but slowly, painfully, still swaying aimless on their feet. It was an effort for them to listen to him, but they did. Read “Boudreaux and Thibodeaux” by Alex Jennings. Albedo One proudly continues the Albedo 2.0 Fiction Showcase with J. M. Sidorova’s fascinating alternate history, providing an evocative exploration of the manifold intersections of faith and science. Read “Galileo Day” by J. M. Sidorova. From Aeon Award-winning author Ian Wild, we bring you this charming fantasy told in Wild’s distinctive style, sure to leave you smiling. A fine second act for the Albedo 2.0 Fiction Showcase in 2010. The Million Pound Shop kept popping up in my thoughts like money signs on an old-fashioned till. Since childhood, possessing a million pounds had exerted a powerful fascination. And even though the amount was no longer stupendous riches – mere coppers to some – the number still felt like a symbol of unattainable wealth. To have lodged in a bank that magical one and six noughts! It was a financial state of grace. Read “The Million Pound Shop” by Ian Wild. We are proud to launch the showcase series with a fine horror story from the estimable Donald Mead. The story is entitled “A Falcon Sharp and Passing”, and is certainly one of the Albedo One team’s favourites in 2010. The story placed in the top six shortlisted stories of the Aeon Award 2009 short fiction contest for horror, fantasy and science fiction, beating over 300 competing entries to the contest that year. Grand Judge Ian Watson described the story as “ballsy and hard-bitten”. World War II fighter ace Chuck Adler had laughed when the government sent him to shoot down the ghost of the Red Baron. He lost his humor when the Baron ended up hot on his tail in a Nazi jet fighter, and he was downright livid when he found out it was the Baron who’d chosen him for the mission in the first place. Read “A Falcon Sharp and Passing” by Donald Mead.